Current Facebook Status: Missing my laptop :(. Not nearly as much social networking/emailing as I’d like without it. Sorry for any birthdays I’ve missed etc. I struggle with writing reviews that tell enough without giving too many spoilers. Alas, this is one such time :(. But I’ll do my best. I’ve had a chance to get to know Linda a bit over the last couple of months and she is a delightful lady! Very knowledgeable and very kind – and patient. 😉 With the laptop gasping for its dying breath, this review has been much longer in coming than I would have liked, but today I’m showing a movie in class (I’ve seen it at least a dozen times, Tuskegee Airmen, great movie – if you haven’t seen it you should). So while they’re watching the movie, I’m writing this review :). 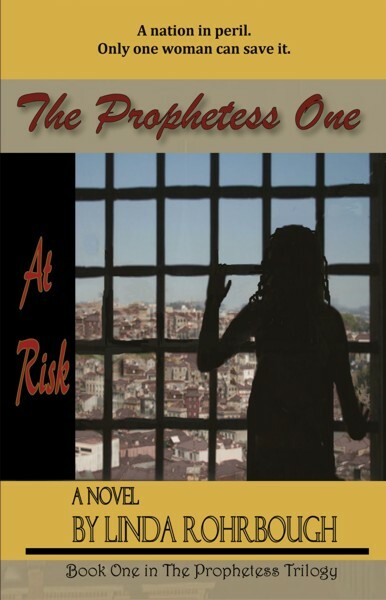 The Prophetess One: At Risk is the first book in The Prophetess Trilogy. This novel, and presumably ones to follow, come out of Linda’s experiences as a relative of a Columbine victim. She tells about this experience at the beginning of the book, so I won’t describe it in much detail here. Based on conspiracy theories that never materialized in the post-Columbine inquiries, The Prophetess One: At Risk sets the stage for what could have happened if those theories had proved accurate. This is an alternative reality, if you will, set against a backdrop similar to what might have been before the Columbine shootings. Anna is faced with often troubling visions of the future. Her husband, Jack, just wants everyone to get along – and that means avoiding being ‘weird’. Can she figure out what the visions mean in time? Can she protect herself, Jack, and their unborn baby? Can she accept the spiritual gifts she’s been given and protect the country? Misunderstandings, coincidences and a seemingly supernatural framing send Anna to prison for the murder of a little girl. Her enemies are out to get her and her friends have troubles of their own. I went into this expecting more romance. I don’t know why. Nothing in the stuff I read said THIS IS A ROMANCE, but that is what I tend to read the most of, so that’s likely why. I’ve tried not to let my initial puzzledness over genre affect my view of the book. I enjoyed it, though I believe I would have enjoyed it MORE if I’d gone into it with the right mindset. I’ve learned much from Linda’s “Pitch Your Book” app and look forward to reading more books by her – both book 2 in this series as well as others.